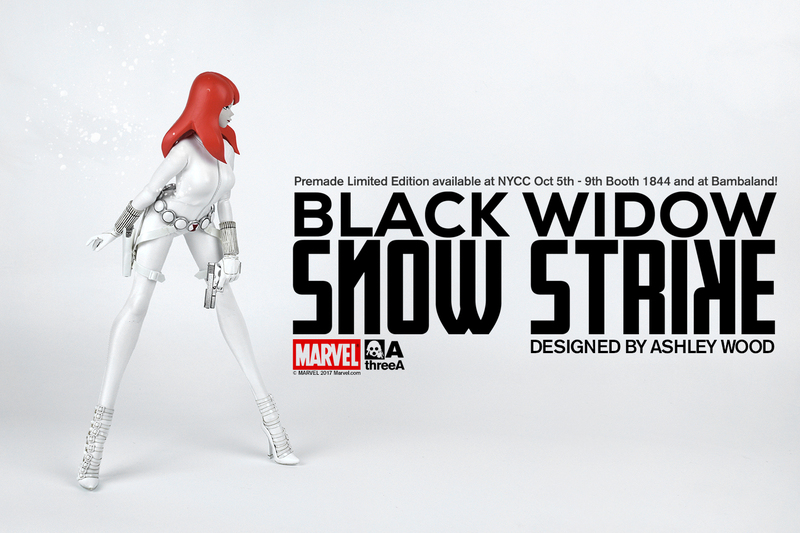 Check out this gorgeous Snow Strike Black Widow 1/6 Scale Marvel Collectible Figure by Ashley Wood and ThreeA! The Blot didn’t think Wood could top his original Black Widow 1/6 scale figure, but he’s done it with this all white variant. I love how Natasha Romanov’s red hair stands out with her all white outfit and accessories. 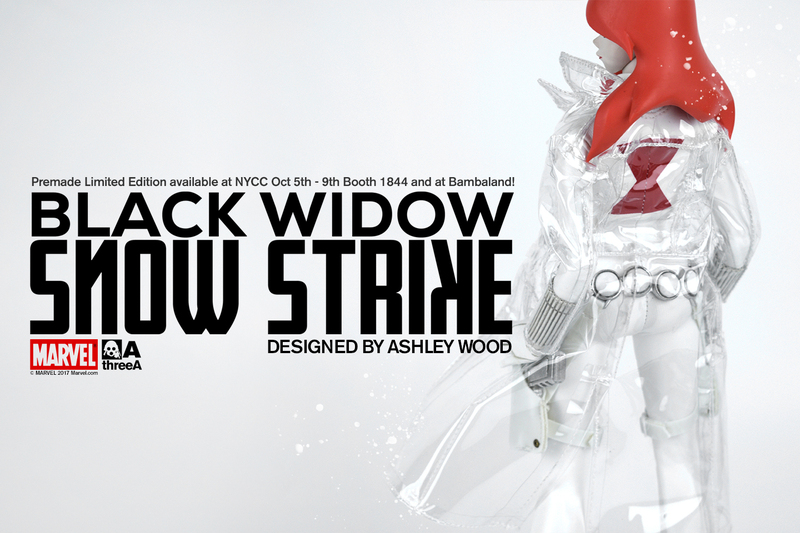 It’s just too bad this killer colorway was released exclusively at New York Comic Con 2017, with a very small limited supply released online at the Bambaland online store for $160. 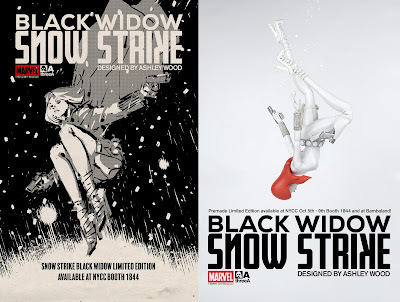 The Snow Strike Black Widow 1/6th Scale Collectible Marvel Figure by Ashely Wood and ThreeA stands 13” tall, features 24 points of articulation, comes wearing a laser cut tailored catsuit and a clear vinyl artic coat. 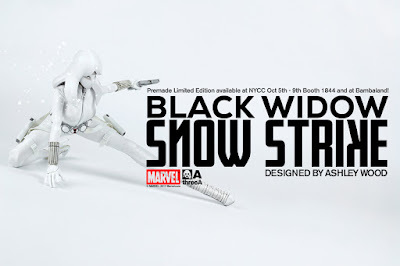 The figure also includes 3 sets of interchangeable hands, 2 Glock 17s with holsters, 2 wrist stingers and 1 masked interchangeable head.